Severe winter weather in Syria and neighboring countries has led to rain, snow and freezing temperatures. Gusts of wind and recent hail have caused electricity cuts and the current fuel shortages and food insecurity make the current situation deadly. Syrians have been forced to flee their homes for safety, cannot afford to feed themselves and their families and are praying desperately to survive the bitter winter. An estimated 4 million people are in need of humanitarian assistance and the escalation of violence has led to 2.5 million internally displaced inside Syria and another 620,000 taking refuge in neighboring countries. Zakat Foundation of America (ZF) has been working in Syria since the violence began in March 2011. Since then, we’ve provided over $8 million in aid to Syrians and Syrian refugees in Jordan, Turkey and Lebanon. The people of Syria need your help today. This winter, through our 50,000 Blankets for Syrians campaign, ZF is distributing blankets, winter clothing, electric heaters and winterization kits to Syrians and Syrian refugees. Winterization kits include: blankets, mattresses, shawls, socks for adults and children and rubber boots. 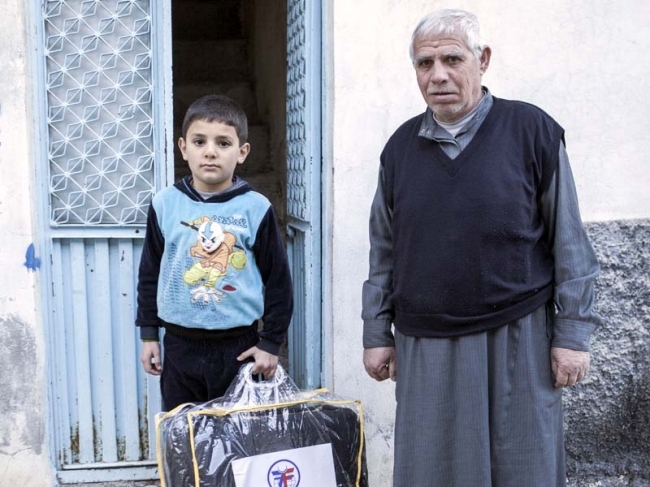 Your financial donation makes the most immediate impact, helping ZF provide warmth to Syrians this winter. Your donation of $50 will keep 5 families warm this winter. Your donation of $100 will keep 10 families warm this winter. Your donation of $250 will keep 25 families warm this winter. Your donation of $500 will keep 50 families warm this winter. Please find it in your heart to help the people of Syria today. Your donation this winter could save a life.